DeKalb County Board has created a Transparency Checklist to hold government and elected officials accountable to the citizens and taxpayers, providing a “best practices” framework intended to improve government transparency as throughout the State of Illinois. “Transparency” is government’s obligation to share information with citizens that is needed to make informed decisions and hold officials accountable for the conduct of the people’s business. 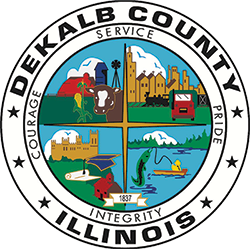 It is the DeKalb County Government’s objective to go above and beyond standard requirements, using the Transparency Checklist as a foundation for open government.